YOU ARE RIGHT. UH, WRONG. NO, RIGHT. UH. I'M SPEECHLESS. My wife thinks it is cute. Go figure? We still talkin' about the car? LOL!!! I hope so. A dude never wants himself or anything on him refered to as cute. Actually - Isn't there a whole drift to "Pink" that doesn't mean something like the "Mary Kay" Cadillacs? The Euro license tag on the car Jeff say's "Hello Kitty" (HLO-KTY) and I bet there's a connection to the race car driver?? That would be clever but still just wrong to me. Pink just dosen't seem like it should go fast. 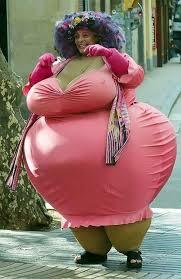 Jeff - This "Pink" craze is multi-facited. This just from Google Images by chance is also the exact model "M" 1948-49 (only) JD tractor that I own one of??!! We think of Pink = A Girl something or based for ions now. It's probably just a rumor but heard a farmer lost a whole fleet of equipment because they all use the same keys! 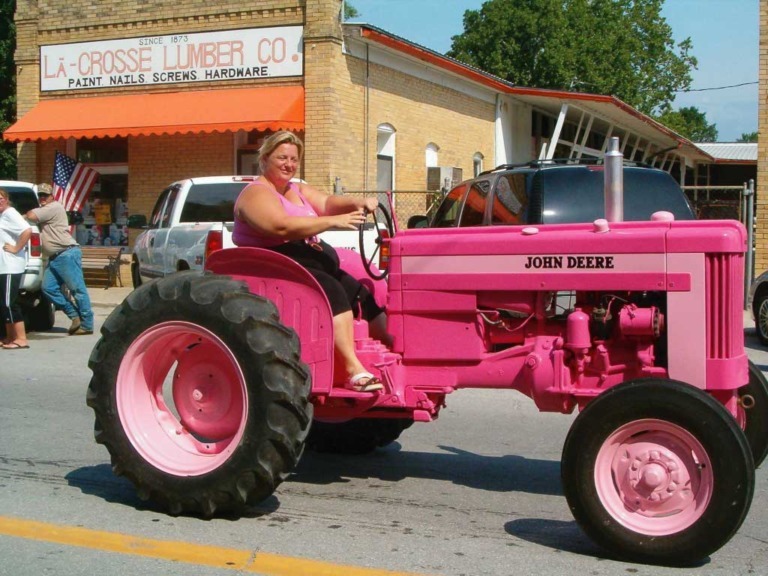 When insurance finally paid (reluctantly) an aggreement was made to pay for all of them in full if they were all painted Pink - and John Deere, Inc. was compelled to comply to get the sale as if to say "who could hide a pink tractor" or something?? It's AFUed at a minimum and not consistant that I can find. So far, best I can figure is Pink=Protest something?? That's worse than Jeff's picture! And I ain't talkin' 'bout the tractor! I thought you liked em big???? She's so fat......Okay, ask me how fat is she?.....She is sooooo fat, she has to stick her arms out to see if she's walkin' or rollin'.